Coconut Oil and Epsom Salt for a Hot Bath! Now that the hustle and bustle of the holidays is finally over, I’ve been trying to make it a point to relax and de-stress myself at least once a week. Between working, school and going to the gym, sometimes I just need a moment for myself to recompose and let all my worries go away. I have a new found love of using coconut oil in many different ways that all help me relax. Going beyond the kitchen, using coconut oil in your beauty regimen may help restore dry skin, soften hair, and even calm your nerves when mixed with essential oils. 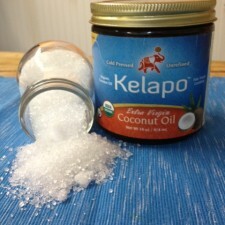 Today I’m going to share my favorite ways that I use coconut oil to help me relax. Getting a Massage – Massages are one of my favorite ways to tune everything out. There’s nothing better than 30 to 60 minutes of “me time” to have aches and pains worked on. My massage therapist actually uses coconut oil on her clients since it is an all-natural product. Try this recipe for homemade massage oil that’s great for at home use. Pampering your Feet – With being at the gym 5 days a week, my feet get sore and callused from sprinting. Pedicures are so nice, but the cost can add up pretty quick. Lately, I’ve been using these tips to take some time to do my own at home pedicures. Exfoliating – Along with pedicures, another way I like to relax is by doing my own nails. I’ve found it so important to exfoliate my hands with this scrub and apply coconut oil to my cuticles to keep them from drying out. Hot Bath – Who doesn’t like to soak in a hot bath after a long day of work? My new favorite way to help soothe sore muscles is to add Epsom salt and coconut oil into a hot bath. Epsom salt can help with swelling, drawing out toxins, and relaxing of the muscles. 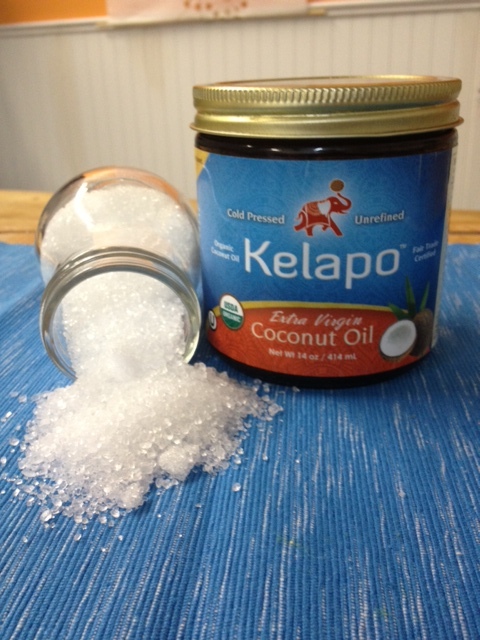 The coconut oil and Epsom salt combination will leave your body completely smooth and feeling refreshed. Try adding in your favorite essential oil for an added scent. Lavender and eucalyptus are my favorite! Hair Mask – Straightening and coloring my hair has left me with a lot of split and damaged ends. I love to make this hair mask at least once a month, while putting my feet up and reading a good book. You’ll notice your hair will become silky and smooth after applying the hair mask that’s made with coconut oil. Even if you can’t find the time to do all of these pampering tips, it’s nice to try at least once a month. Lighting candles, playing soothing music, or having your favorite book while doing these relaxing activities can also take your mind away from everything going on. Yoga is another great way to help calm your nerves, stretch and center yourself. What’s your favorite way to de-stress?